Christmas is my favorite time of year. I love watching the excitement on my children's faces when we lift a new flap on our Advent calendar and light a new candle on our Advent wreath in anticipation of Jesus' birth. 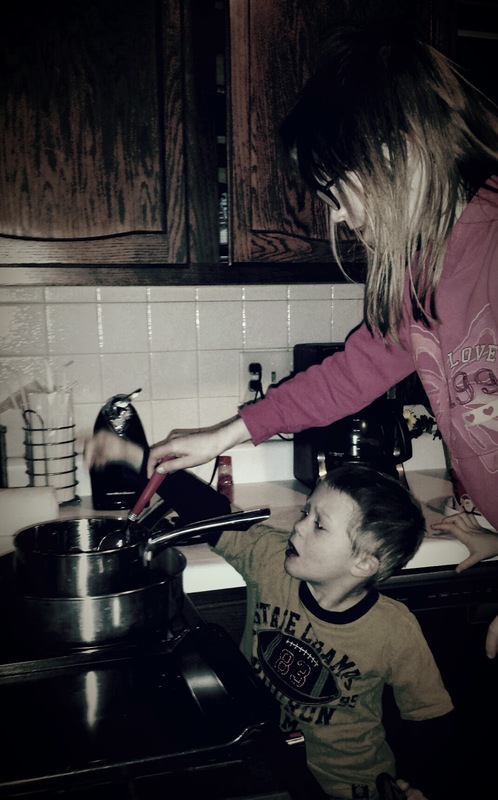 We have several Christmas traditions. Some are from our Catholic faith while others are just because. 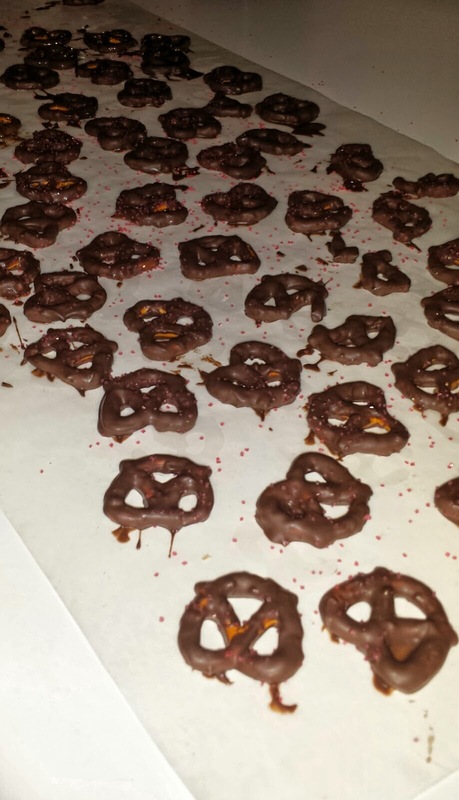 Making chocolate covered pretzels is one of our, "just because," traditions for Christmas. This simple recipe is fun and everyone loves sweet flavors mixed with the salty. 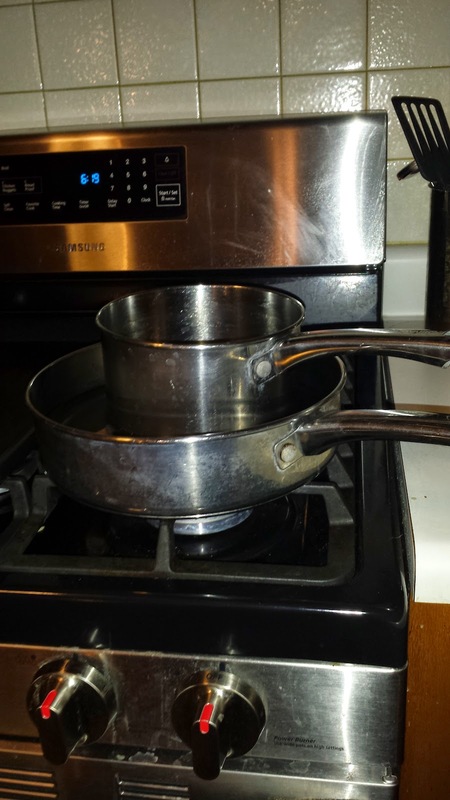 Place a pot of water underneath a smaller pot on the stove to create a double boiler. 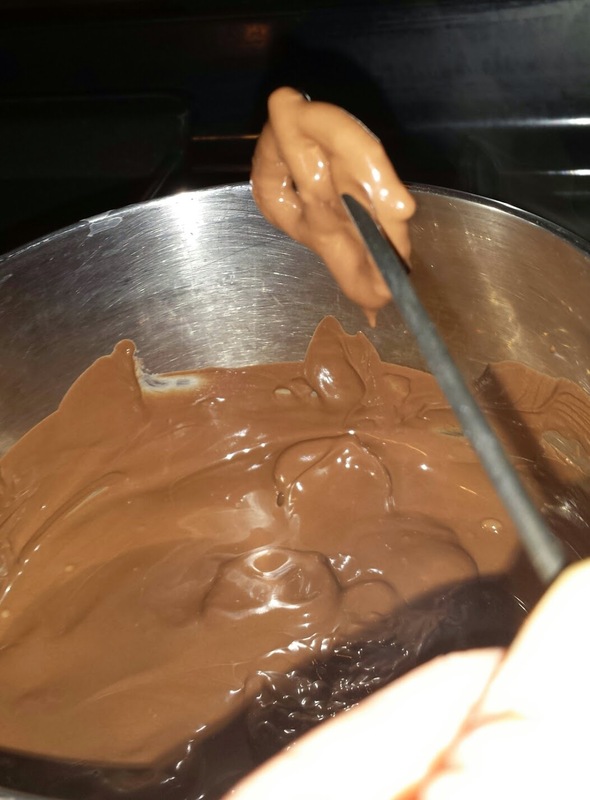 Melt almond bark in the top pan of the double boiler on the stove top. 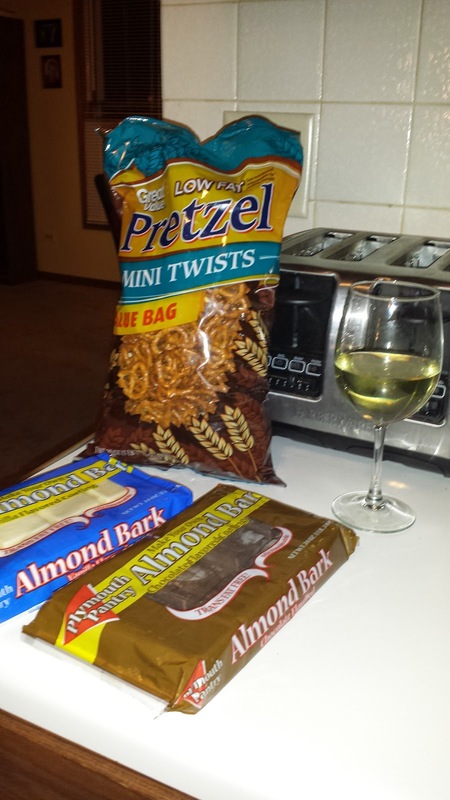 Add pretzels to the melted almond bark by the hand fulls. 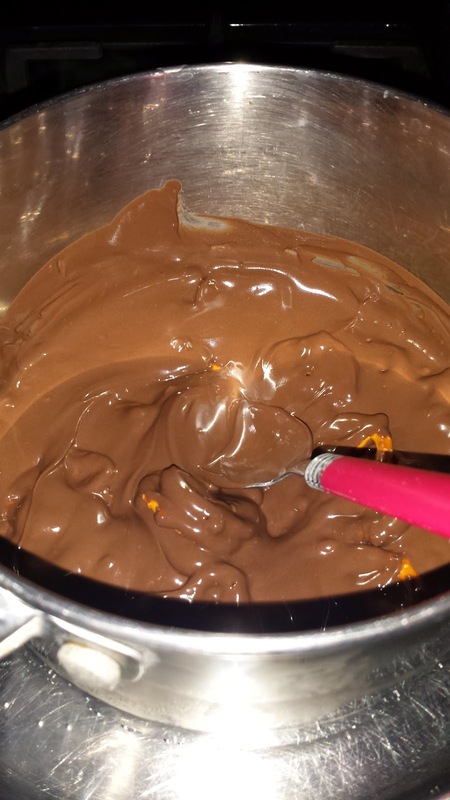 Mix them up until well coated. 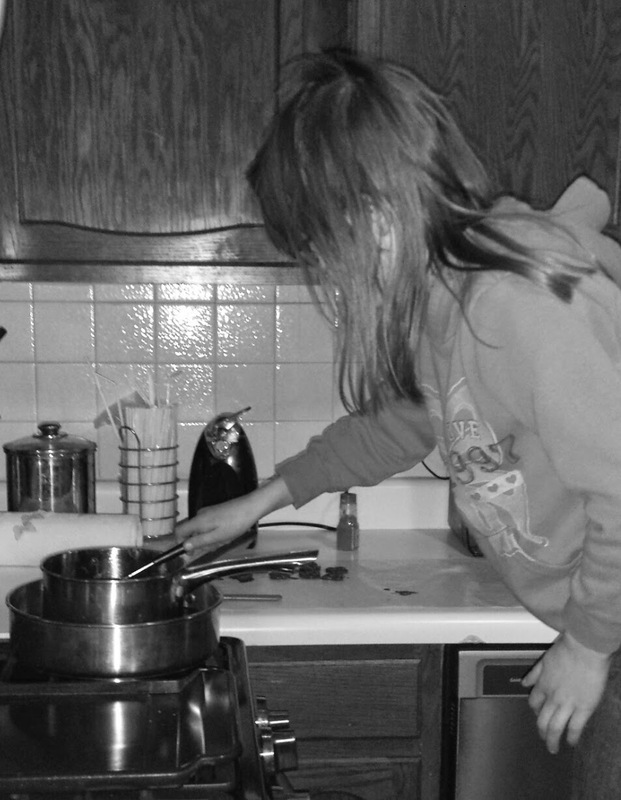 Pull the pretzels out one at a time with a toothpick or fondue stick making sure you shake off the excess coating. 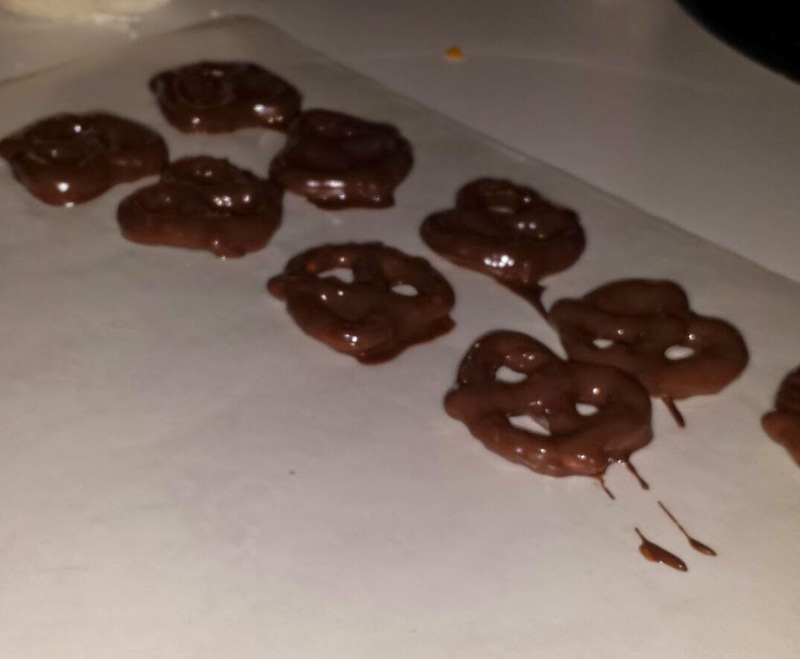 Lay the pretzels out on wax paper to cool ( about 5-10 minutes). 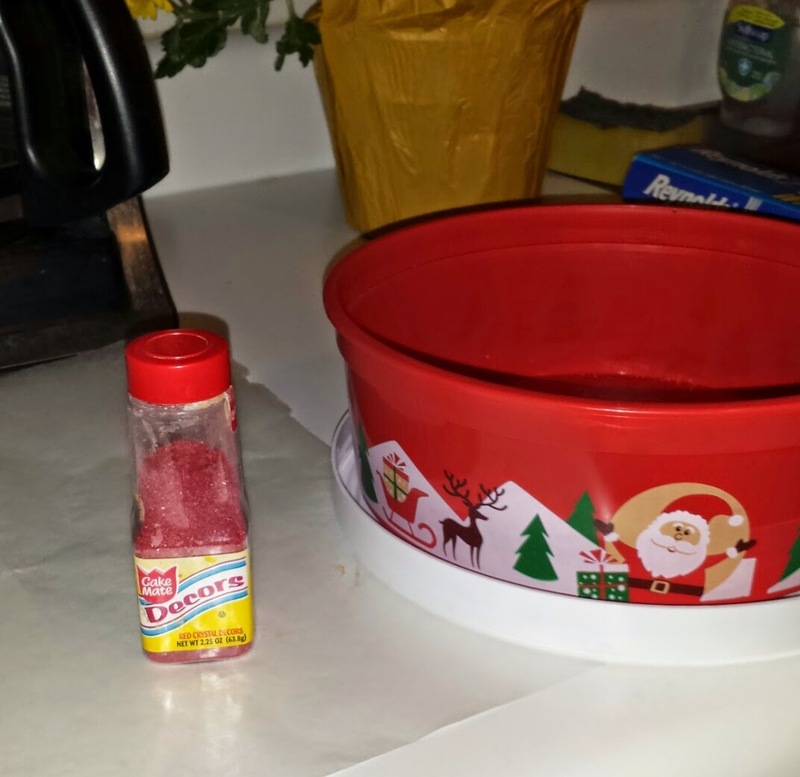 Sprinkle pretzels with colored sugar sprinkles while they are cooling (optional). 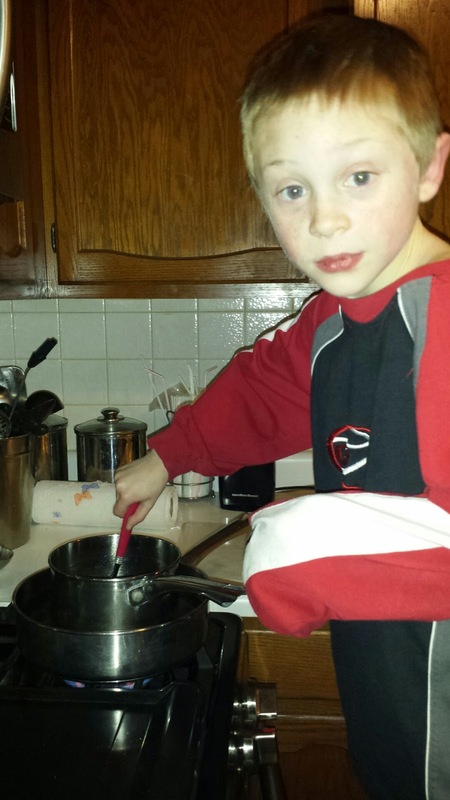 Kids can help coat the pretzels and place them on the wax paper. All of my kids helped me make them this year. 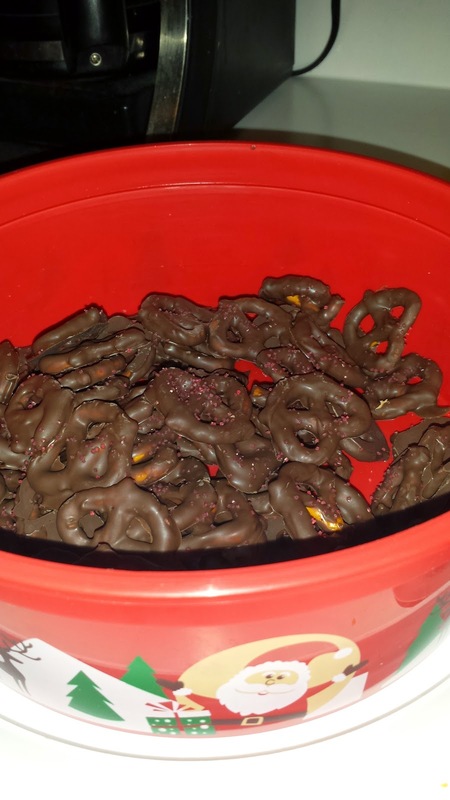 Kitty (age 8) did everything from coating the pretzels, to pulling them out of the pot, placing them on the wax paper and she helped put them in the container when they were cooled. 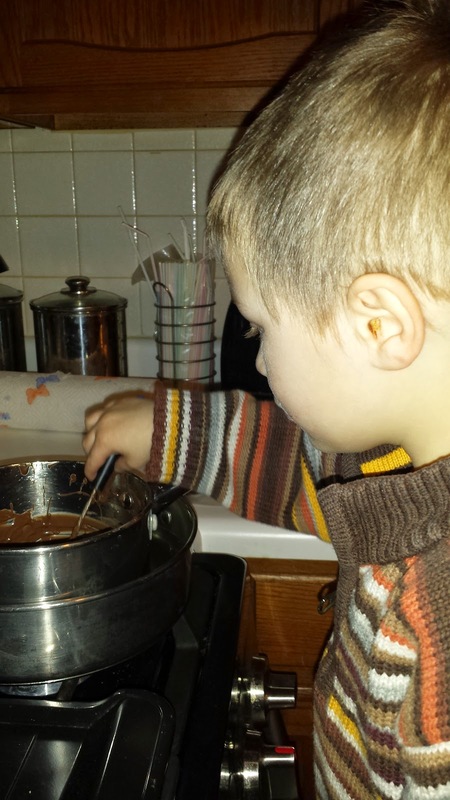 Little Bear helped coat the pretzels in chocolate. 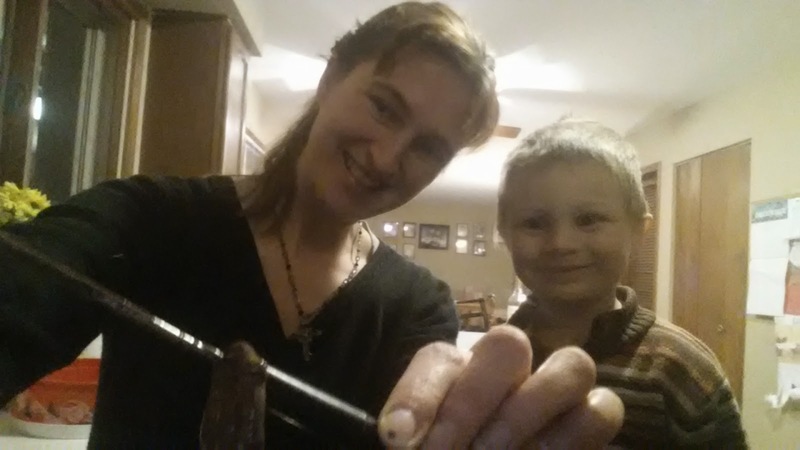 Little Bear admiring the pretzel as I pulled it out of the pot. Kitty was the best helper. Monkey tried to get into the action by helping his big sister. 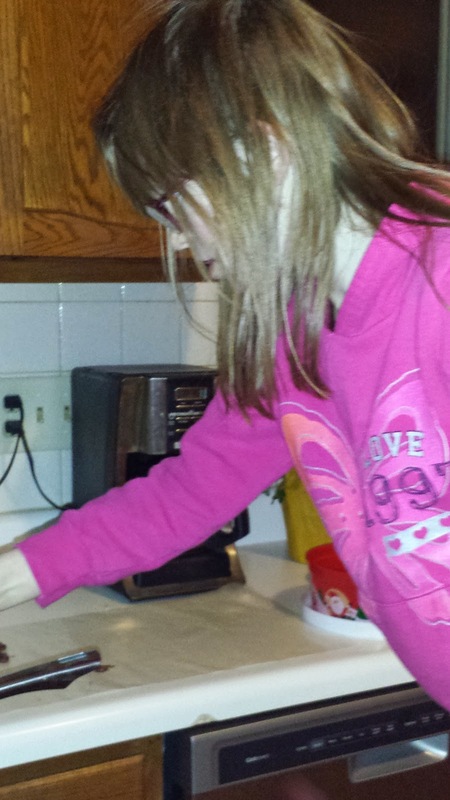 Parrot took mixing the almond bark very seriously. 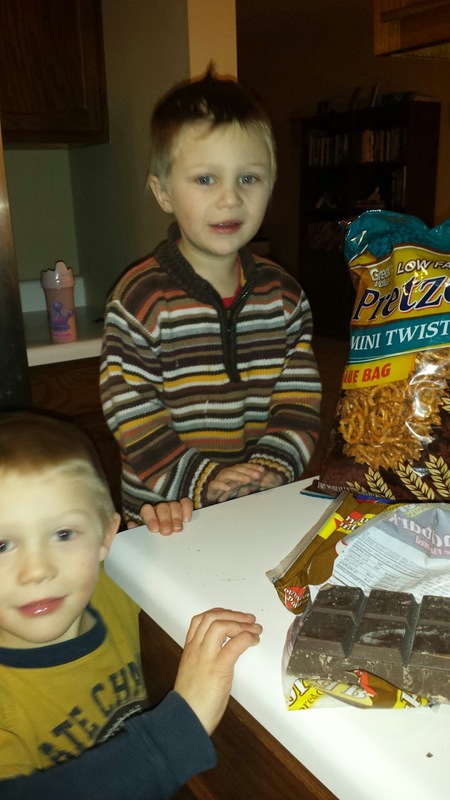 Monkey and Little Bear were excited about making chocolate covered pretzels. 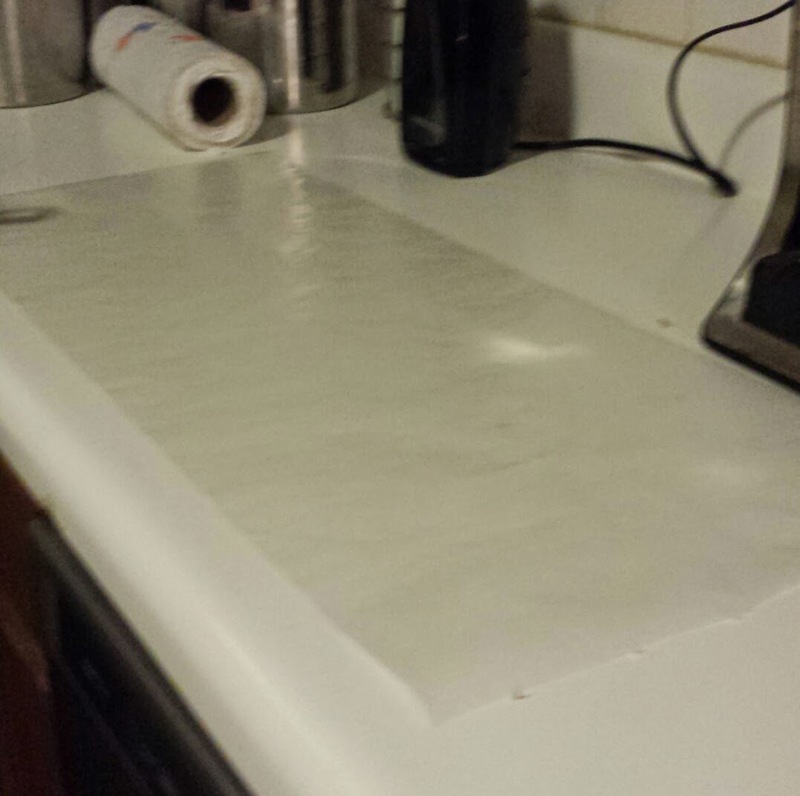 Cooling on the wax paper. 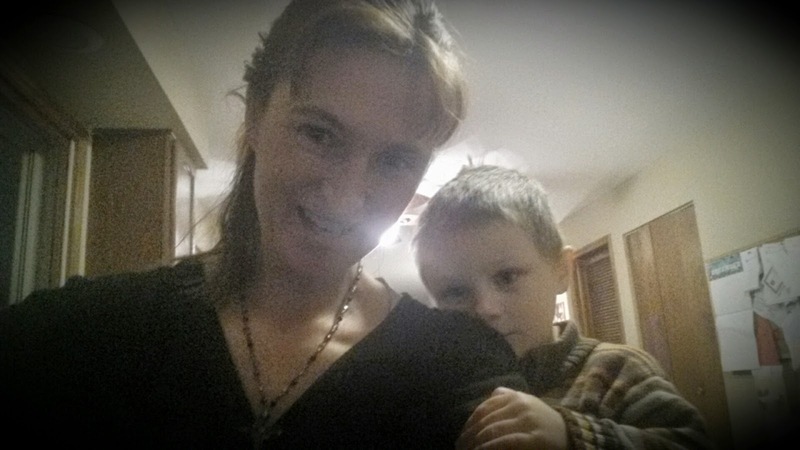 Me and my Little Bear.